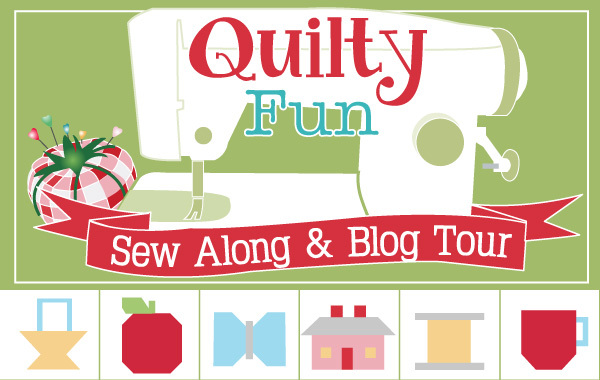 Welcome back to Lori Holt's Quilty Fun Sew Along and Blog Tour! Spring is definitely in the air today with the fluttering Butterfly blocks! 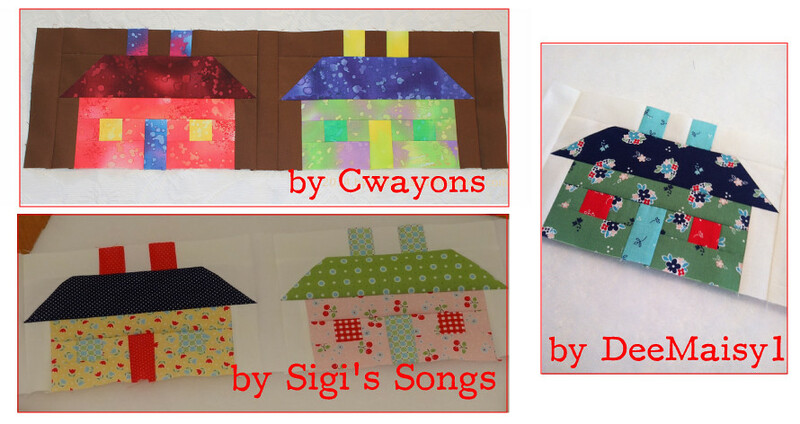 We are making these blocks with the help of A Little Bit Biased, so spread your butterfly wings and get sewing! First, you will need your copy of Quilty Fun and the Butterflies Cutting PDF for the Quilty Fun Sampler. Then, just start sewing! 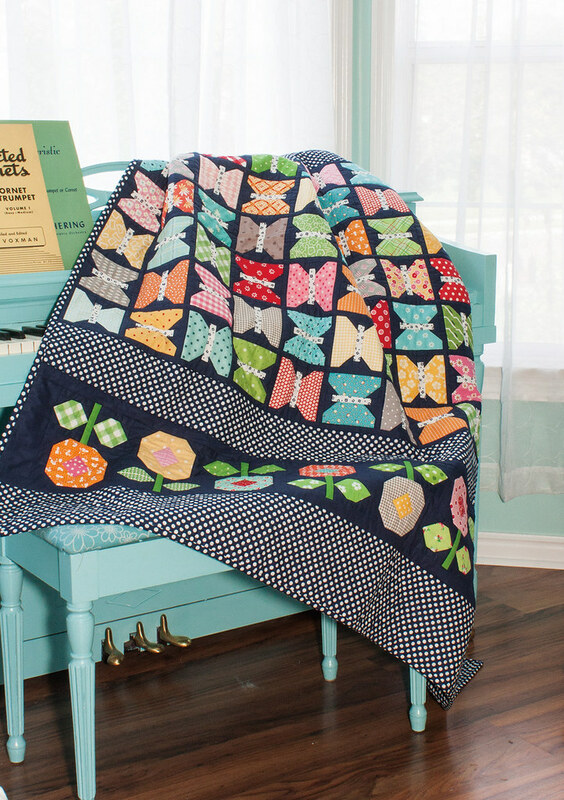 Kimberly's sweet butterflies are made with Lori Holt fabric. Debbie's butterflies are made with the Sidewalks fabric collection by October Afternoon for Riley Blake Designs. Can't get enough of those pretty little butterflies? Open your copy of Quilty Fun to page 62 to sew the Butterfly Garden Quilt. If this doesn't have you craving Spring, I don't know what will! 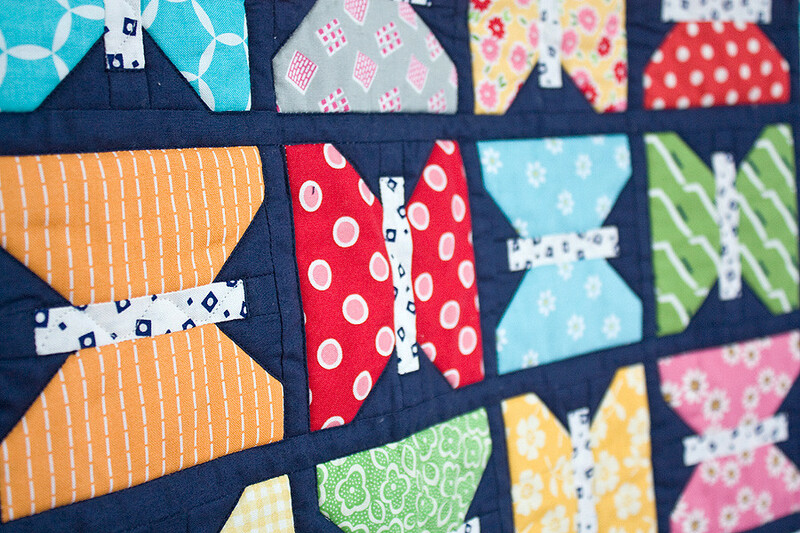 Once your blocks have been sewn, head over to the Quilty Fun Sew Along Flickr Group and post a photo for a chance at this week's prizes! We are giving away a Busyfingers Rotating Cutting Mat to two winners, and a packet of Alphabitties to one winner! All three winners will be announced here on the Jolly Jabber next week. The lucky winners of last week's giveaways are cwayons, Sigi's Songs, and DeeMaisy1. Check back next week to see if you won a Quilty Fun prize and to start sewing the Sewing Spools blocks with A Quilting Life!